The William Walker House, the oldest dwelling in Reedville opened as the Reedville Fishermen's Museum in 1988. Located in the heart of the historic district of Reedville, a working fishing village, the museum houses a variety of exhibits showcasing the maritime heritage. Celebrating their 30th anniversary this year, the museum is dedicated to preserving the heritage of the maritime history of the lower Chesapeake Bay area and the watermen who have plied their trade here for hundreds of years. A generous gift from Mr. Frank Covington enabled the Reedville Fishermen's Museum to expand into a new building in 1995. The museum’s docks are home to two National Historic Register vessels, the Elva C and the Claud Somers. Both are used for scheduled open water tours. The museum’s permanent collection is displayed in the Reed and Frayne Galleries. Temporary exhibits, changing throughout the year, are displayed in the 2003 addition. There is a gift shop located in the Covington Building where guests can enjoy Boat Building and Model Making. These activities support education programs and special events held throughout the year, such as Family Boat Building weekends and the large layout of the HO scale Northern Neck Railroad. There is always something to see and do for the fishing enthusiasts and their families! The Glencoe Mansion, Museum & Gallery located in Radford, Virginia has something for everyone with a House Museum, History Exhibits and Art Gallery. The museum recognizes the post-war contributions made to Virginia by Confederate General Gabriel C. Wharton and his wife Nannie Radford Wharton. Gen. Wharton came to Southwest Virginia during the Civil War to defend the resources of the region. While there he met and married the very accomplished Nannie Radford. After the Civil War this couple did much to advance the development of the region. Glencoe Mansion, built by the Wharton’s in 1875, provides changing history exhibits about the region, including Native Americans, railroading and the frontier heroine Mary Draper Ingles. The museum’s Life Event Exhibits focus on 19th-century life. The Art Gallery showcases local artists. There are exciting developments coming with the interpretation of the Wharton family. Perhaps the Wharton’s most unique legacy is the cache of documents they left behind. Civil War historian William “Jack” Davis is working with Wharton descendant Sue Bell to publish the wartime letters of Gen. and Nannie Wharton. There are over 500 surviving letters between the couple dating from 1863 to 1865. The anticipated publication date is 2020. Come explore the Glencoe Mansion! There is always something new to see! Finally, Dignity for a Chicago War Hero Intro: Earlier this fall I was contacted by my friend Michael Feeney (MBE) of Castlebar, Co. Mayo Ireland. Michael and I have been friends since we met in 2006 at his home in Milebush. It was then that he asked me to help research military men and women who, have served in the armed conflicts of the United States and most of whom made the ultimate sacrifice. Many of these soldiers gave their life for a country that was not yet even theirs. Thus began my foray into military research, a topic I knew nothing of but would soon teach myself. I have been a genealogist since 1999 so I eagerly took on this task for my friend in Mayo. The reason you ask… quite simple, Michael was the brain child and driving force behind the construction of the Mayo Peace Park and its “Garden of Remembrance”. A memorial in Castlebar to honor all that served in foreign wars. SO when contacted again I jumped at the chance to look into another lost soldier. Michael’s wife Mary, in an effort to help locate soldiers spends many hours searching the internet for info on those from Mayo. And find another she did, Martin J. Cunningham who, sadly died of his wounds on July 22, 1918. Martin was born on September 28, 1888 and baptized two days later on the 30th. He was the son of Martin and Mary nee Forkan Cunningham of Treenlaur in the townland of Shanvally, 2 miles from Kiltimaugh, in Co. Mayo. In the early part of the 20th century it is believed he came to New York, and then on to Chicago to live with his sister Mrs. Margaret (George) Brady on S. May St. in Chicago. In abt. 1916 he joined the US Army and when we entered the war in April of 1917 Martin’s destiny was sealed, he was to be sent overseas. Martin served proudly with Co. “A” of the 28th Infantry as a corporal. Sometime on or about the 22nd of July Martin was wounded and later died of his wounds (DOW), and was buried in France. It was reported in the Chicago Daily Tribune and was accompanied by a photo of Martin and eight other listed as dying in France. After the war, his body was exhumed and returned to Chicago at the request of his father and sister. He was laid to rest in Mt. Olivet Cemetery in Chicago on July 23rd 1921, three years and one day after he died. Moving ahead to 2017, after getting the call, doing my research and reading his burial file that I got from St. Louis (NPRC) it was then that I found the final resting place for Martin. I called the cemetery and they were very helpful, telling me the “NO” Martin did not have a marker on his grave. I knew that getting a marker was an easy fix, but I was also told of the $275 setting fee for flat granite markers. It was then that I got the idea of writing to the owner of the cemetery, the Archdiocese of Chicago, (Cardinal Cupich) asking for a fee waiver on compassionate grounds. The letter was answered several weeks later from the Director of Catholic Cemeteries with a resounding “NO”. After the initial anger and shock wore off I remembered a friend that worked for Catholic Charities of Chicago. The call was made and she too was upset with the lack of compassion displayed by the Archdiocese. She readily agreed to help and her organization will be covering the cost of the setting for the VA marker when it arrives in the spring. A call to the Mayo Association of Chicago was never returned when I left a message. Another idea that came to me, was to hold a simple grave dedication ceremony after the marker is set, most likely on July 22, 2018 the 100th anniversary of Martin’s death. I contacted Rich Leschman of Post #450 of the local VFW in Chicago and he agreed to help in any way that they could to give Martin the dignity he was denied in 1921. For those interested, more details about the upcoming ceremony will be listed as they become finalized and the day grows closer. Respectfully submitted, Patrick Gorman Dixon, IL 61021 (815) 440-5965 Footnotes: In 2009 one of the markers I arranged to have sent to Ireland was for James Forkan, a cousin of Martin’s. My wife and I had the good fortune to be able to attend his ceremony and meet the family. Martin’s sister and brother in law are buried next to him, also in un-marked graves…..anyone feeling generous? 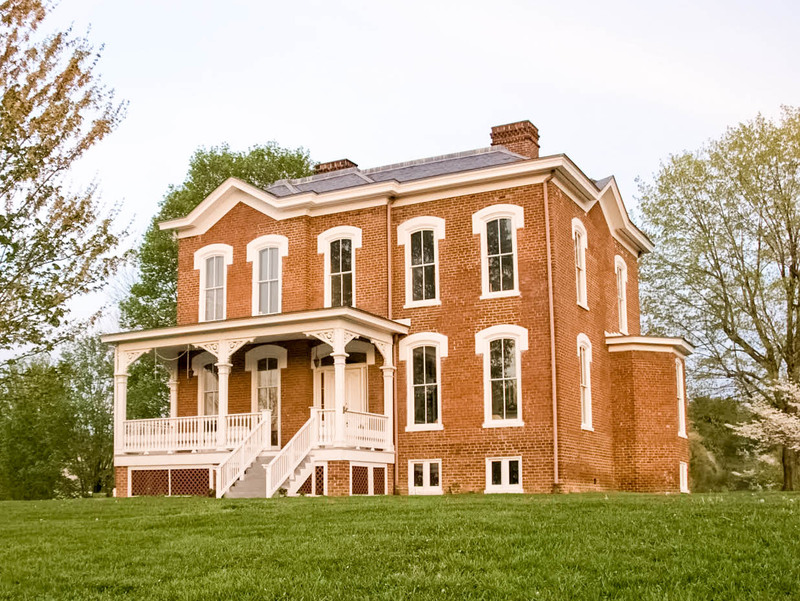 The Mark Twain Boyhood Home & Museum welcomes visitors from across the world to Twain’s hometown of Hannibal, Missouri to see the places that inspired Twain’s famous novels. 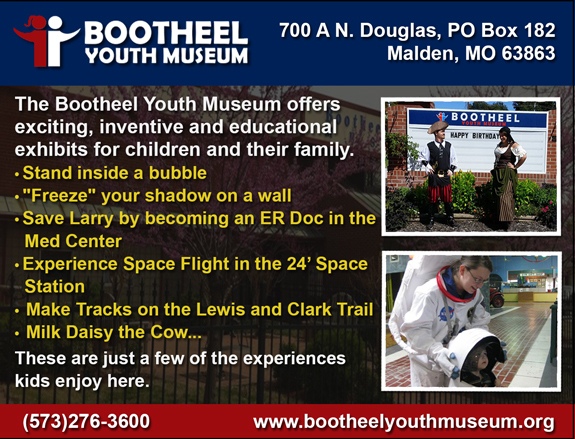 Come see where the stories started as you tour our two museums and five historic homes, including the Boyhood Home, a National Historic Landmark. 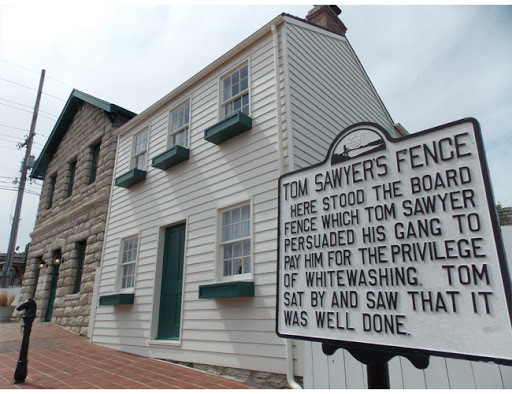 A visit to the Mark Twain Museum includes the Boyhood Home, the Huckleberry Finn House, Becky Thatcher House, J.M. Clemens Justice of the Peace Office and a WPA (Works Project Administration) stone cottage and two interactive museums. 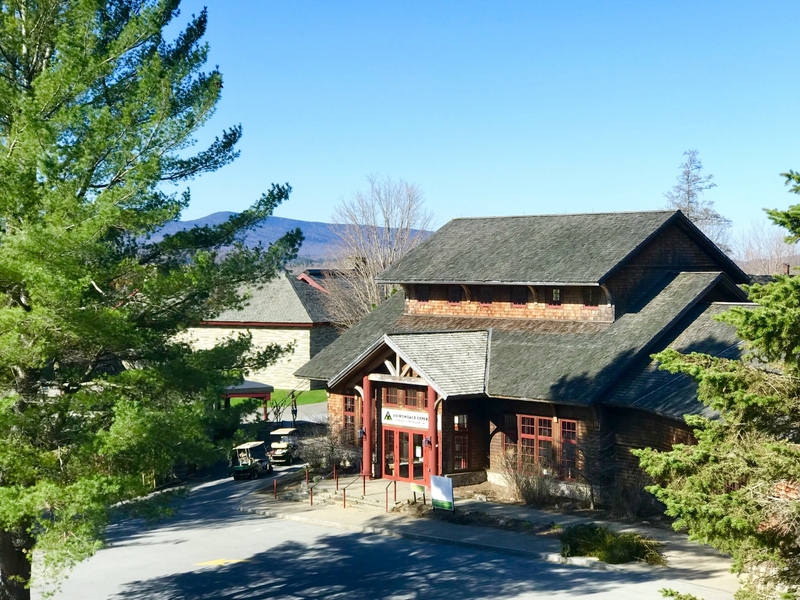 The Interpretive Center which houses a timeline of Mark Twain’s life and the Museum Gallery full of hands-on exhibits and Twain artifacts, including his famous white suit coat and a death mask of his son Langdon. Fourteen original Norman Rockwell paintings used as illustrations for special editions of The Adventures of Tom Sawyer and the Adventures of Huckleberry Finn are also on display. Group rates available for parties of fifteen or more are available and the museum offers free admission to all active duty military and their immediate families.